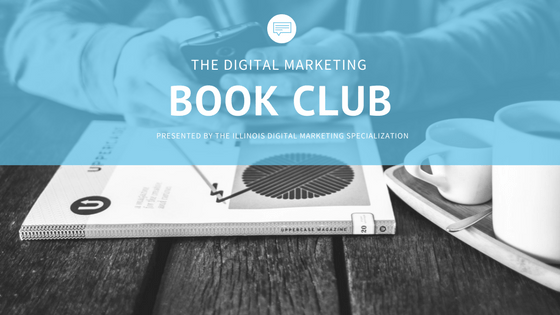 Dive deeper into digital marketing topics with the Illinois Digital Marketing Book Club! In the Book Club, you will get the opportunity to gain a further understanding of various digital marketing topics through short readings and intellectual discussion with your peers. The Digital Marketing Book Club is hosted through Facebook Groups, providing a close space to ask questions, engage in discussion about readings, and provide resources for your peers related to topics the book club is discussing. Based on group interest, we will select a topic to learn about. We will also choose an article to read in order to learn about the topic. Then the discussion begins! As a group, we will discuss in the Facebook group about the topic. Discussion can consist of posting articles and videos that relate to the topic, asking questions to your peers, commenting on each other’s posts, etc. For two weeks, we will discuss the topic in order to gain a thorough understanding. If there is enough interest, we may host a live hangout at the end of each discussion period. 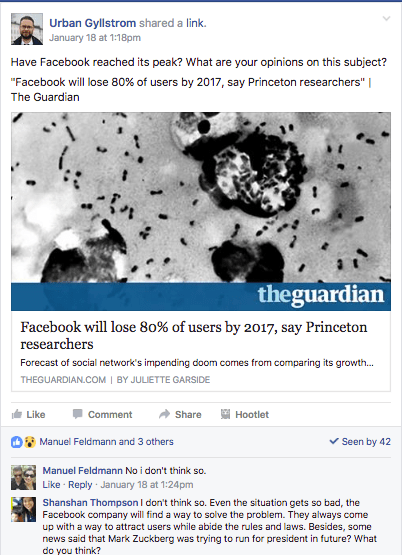 Currently, we are taking a look at the article, 20 Things Social Media Professionals Can’t Ignore in 2016 in order to examine which trends truly became true in 2016 and what we expect to come in 2017. Which social media trends do you expect to see in 2017? Head on over to the Digital Marketing Book Club and share your opinion with the group!